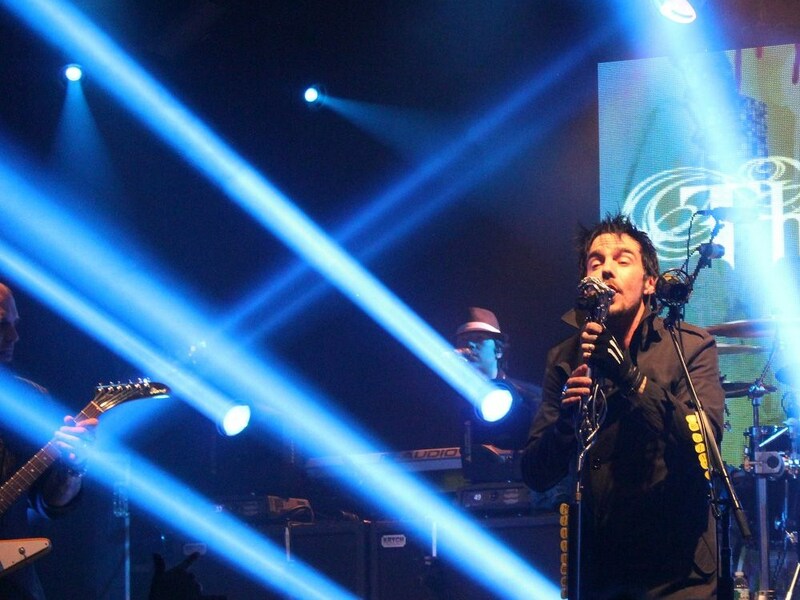 You really have to hand it to Three Days Grace. 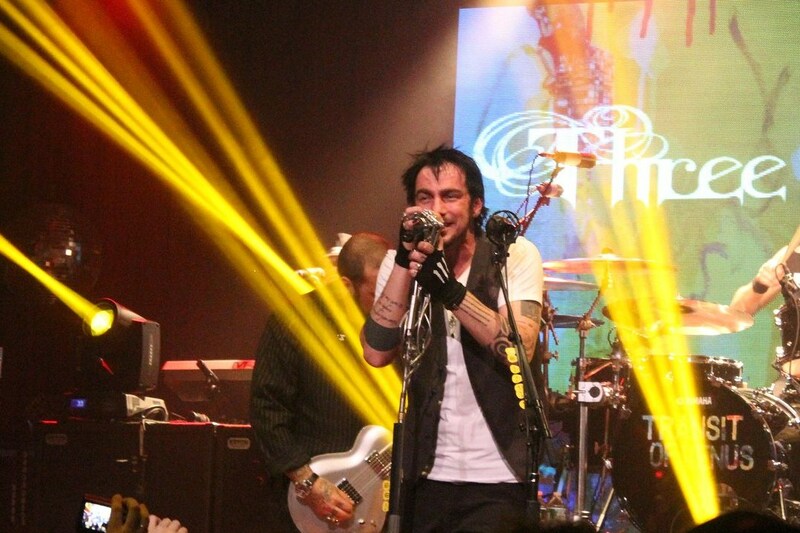 For a band used to playing to thousands of fans in their arena rock shows and in ampitheaters, in front of a crowd of just a few hundred New York guests, frontman Adam Gontier and his bandmates absolutely left it all up there on stage at the Highline Ballroom on Monday night at a special performance entitled “An Evening With Three Days Grace.” The ninety minute set was setup as a showcase of sorts for their recently released fourth studio album “Transit of Venus,” but the show was also a thorough rundown of the band’s greatest hits mixed with their distinctive proclivity for performing live. The makeup of the audience on this night was a bit peculiar for a rock show with dining tables strewn about the otherwise standing room only floor, made up of a preponderance of younger children, women, and kissing couples. 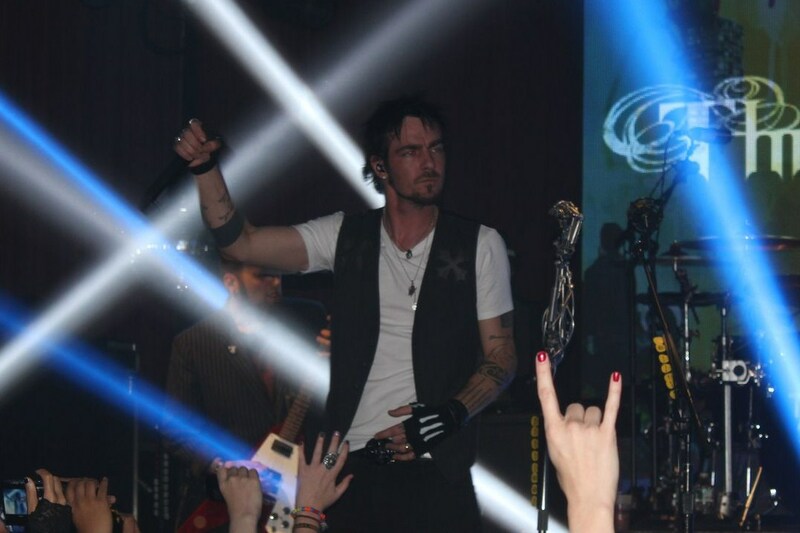 But despite the rather diverse crowd, Gontier’s fingerless gloves and black trenchcoat led him to the stage with indescribable vigor. His facial hair matched his tailored mop of hair for a look that simply oozes rock and roll. 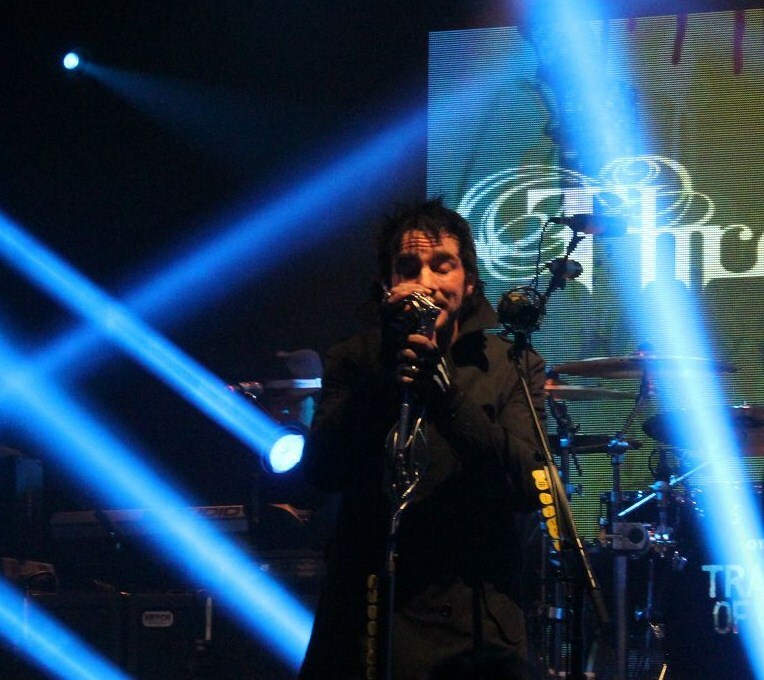 With an illuminated video board behind them and an arena like light show blaring out toward each of the Highline’s walls, Three Days Grace got right down to business, opening with new rocking tracks “Sign of the Times” and “Chalk Outline,” the first two cuts from the latest album. 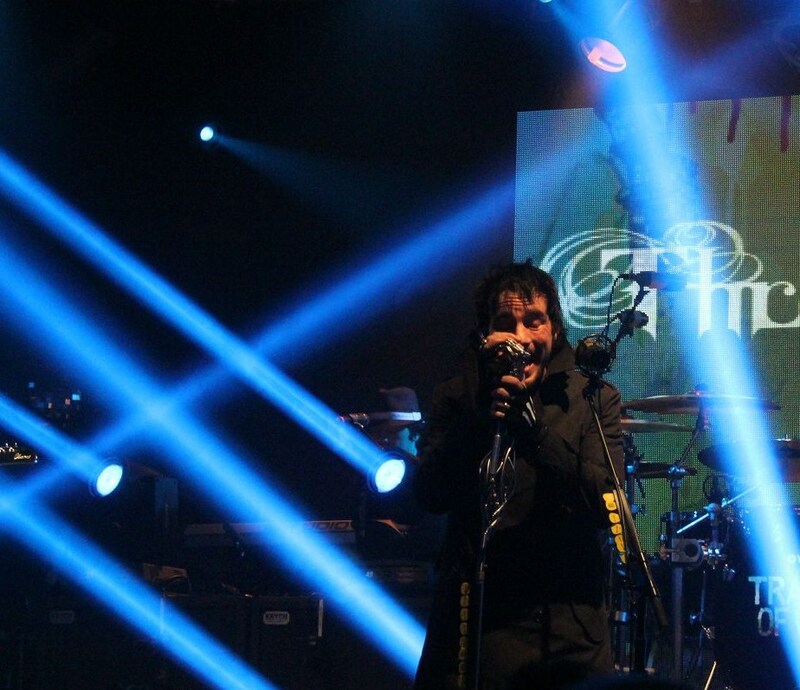 Alternating between his regular microphone housed in a standing mechanical arm and an adjacent microphone yielding distorted vocals, Gontier’s signature raspy voice was a revelation live. Neither strained nor weak, the singer paced back and forth on stage nailing just about every note needed in his repertoire, removing the long black coat early on to make way for his black vest and white v neck, showing off his tattooed arms. Stage presence aside, the band delivered for the frenzy of fans bouncing around for a good portion of the show, waiting to hear that one song to release their energies. And with the band nearing ten years since the release of their self-titled debut, it’s easy to forget just how many hit singles Three Days Grace has produced. Aside from a raucous version of “The Good Life” early on, noticeably absent were live tracks from 2009’s “Life Starts Now.” But songs like the rousing “I Hate Everything About You,” “Pain” and “”Home,” featuring a mid-song breakdown into Eminem’s “Lose Yourself” quickly allowed fans to focus on the show at hand. 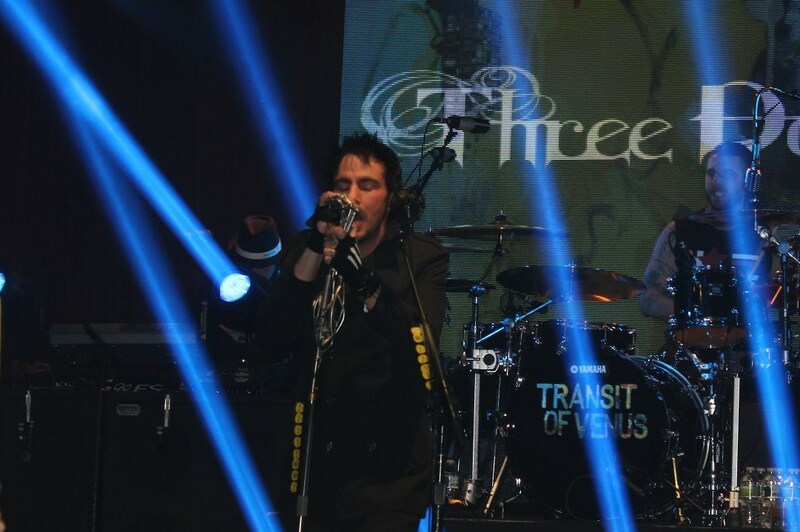 Behind Gontier sat drummer Neal Sanderson’s elaborate and elevated drumkit, which served as a beat laboratory of sorts while the rest of the band grabbed a brief respite offstage. His synthesized beats coordinated with a lightning fast light show, leading into a short but fun drum solo to engage onlooking fans. 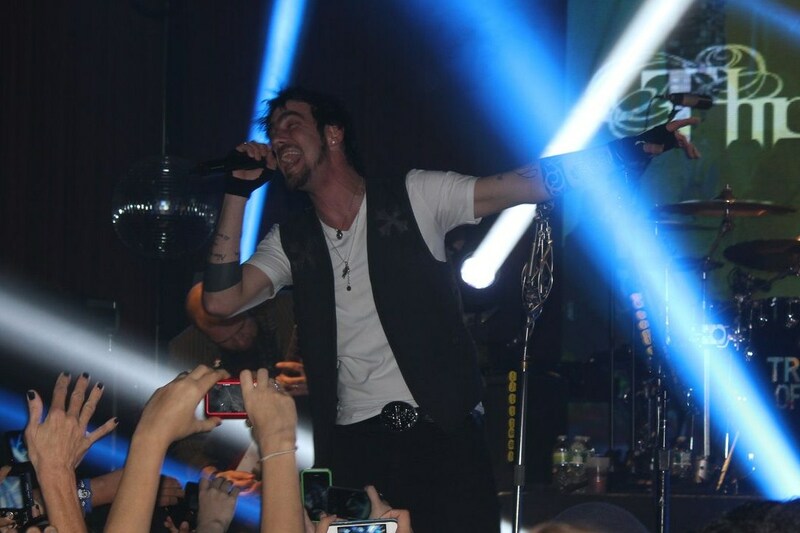 Gontier’s return to the stage led to a pulverizing rendition of Apocalyptica’s “I Don’t Care” to which he lent his vocals originally, and fan favorites like “Never Too Late” and “Riot,” which saw the breakout of mosh pits and virtually the entire room of 700 fans bouncing in unison. 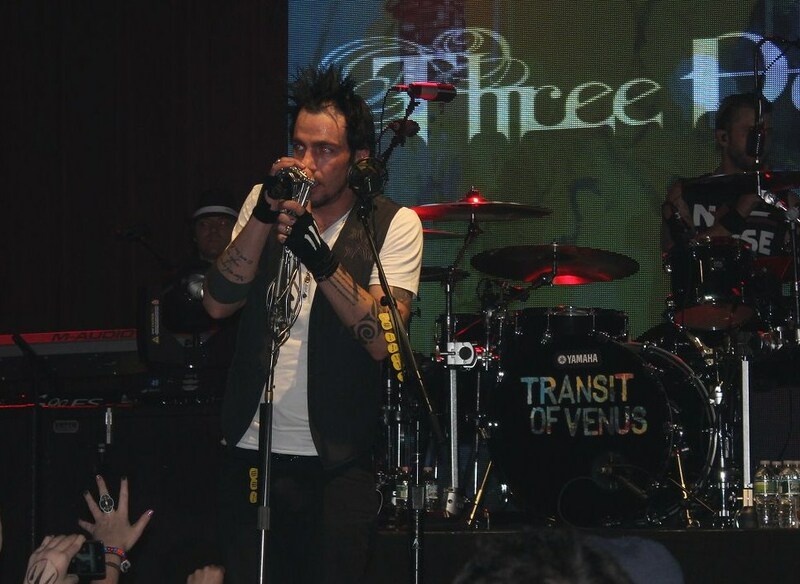 The encore provided some familiarity for fans as Gontier stood alone wielding his guitar through a version of Tom Petty’s “Freefallin’” which, despite being interactive for the crowd on hand, would have perhaps best been suited for “Just Like You,” the band’s monster hit from 2003, which remained inexplicably off the evening’s setlist. 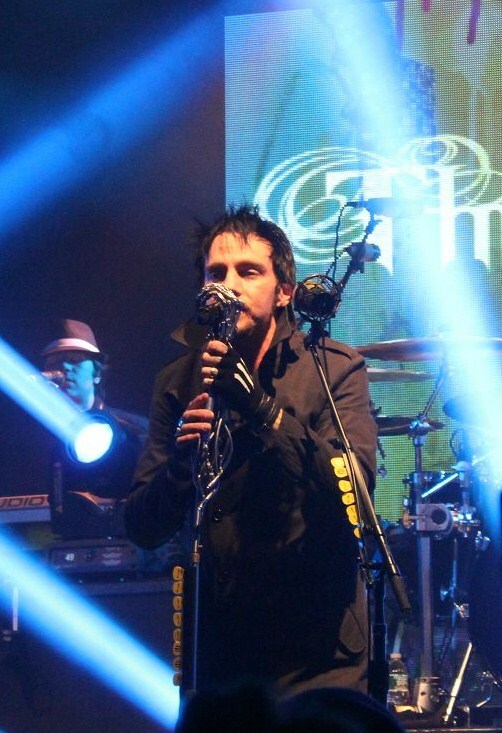 But rather than take umbrage with the songs that Three Days Grace may have disregarded, it’s better to reflect upon how much good there was with the show. Show closer “Animal I Have Become” was a rallying cry for the New York faithful- their vocals blaring out even above the levels provided by the band on stage. The band’s aggressive seizure of the crowd and of the stage proved once again, that despite misconceptions otherwise, the New York market can in fact support the rock music genre. As long as the music is done right.